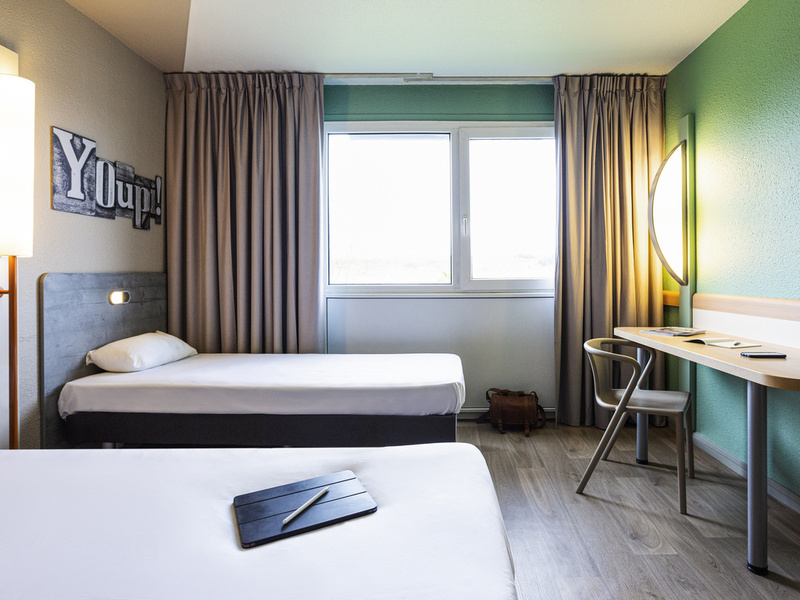 The ibis budget Angouleme Nord (formerly an Etap Hotel) is located in the hotel district in Angouleme Nord, 5 minutes from the city center and the train station. Near the international comic strip museum and the exhibition center (Espace Carat), this econ omy hotel offers spacious 291 sq. ft. (27 m2) rooms for one, two, three or even four people, at an attractive price. Free WIFI, flat-screen TV with Canal+, individual heating and/or air conditioning and free parking. Pets welcome.